Would you prefer to have household cleaners with ingredients that you can actually pronounce? From laundry detergent to an oven degreaser, we rounded up D-I-Y green-cleaning recipes that promise to tackle the toughest messes. They’re easy to make, easy on the wallet and, best of all, easy on Mother Earth. Whether you’re cleaning a messy tabletop or sticky hands, Leslie Reichert, cleaning expert and author of "The Joy of Green Cleaning," suggests using a microfiber cloth and this D-I-Y cleaning solution: Mix one cup of 3-percent hydrogen peroxide, one cup of white vinegar, half a cup of lemon juice and eight drops of tea tree oil. Make wipes for on-the-go spills by soaking paper towels in the mixture and storing them in a Ziploc bag. To make your own all-natural cleaning scrub, try this simple scrubbing paste recipe from Kris Koenig, founder of Natura Clean, a Wisconsin-based eco-friendly cleaning company. Mix a half cup of baking soda with liquid castile soap until it’s the consistency of frosting. Scrub whatever surface needs cleaning, then rinse with water. Want to get away from the chemicals, foaming agents and synthetic fragrances found in most laundry detergents? Try this washer-friendly recipe from Dr. Luz Claudio, professor of preventative medicine at Mount Sinai School of Medicine and a research scientist in environmental medicine. Using a box grater to grate a bar of pure soap into a powder. Freeze the soap for super-fast grating, advises Madeleine Somerville, green living expert and author of "All You Need Is Less." 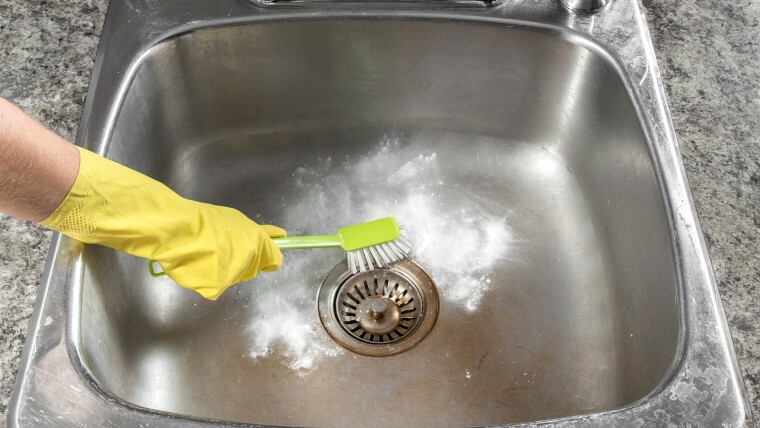 Then mix the grated powder with one cup of borax, one cup of washing soda and a few drops of lemon juice (optional) for cold and warm water loads. Use one to two tablespoons per load. Have a hard water stain in your bathtub? Home improvement expert Bob Vila recommends placing a vinegar-soaked cloth over the stain. Let it stand for a few hours, then scrub with baking soda paste and spray with a vinegar-and-water solution. To clean the shower, simply wipe down shower walls and floors with a microfiber cloth after showering, says Debra Johnson, a home cleaning expert for Merry Maids. To prevent the build-up of mold and mildew, leave the shower door open and turn on the vent fan (or open the bathroom window) for about 15 minutes. All that’s stands in the way of sparkling clean silver is a little bit of baking soda and some water, says Anna Moseley of the cleaning blog "Ask Anna." Just make a paste of three parts parts baking soda to one part water, rub it onto the silver with a clean cloth or sponge, rinse and dry. Out of baking soda? The experts at the Good Housekeeping Research Institute found that silver can be spot cleaned in a pinch by using toothpaste, as long as it doesn't contain tartar control or whiteners. Gently rub a tiny bit of paste onto moistened silver, rinse and dry. Because it's much easier to clean an empty toilet bowl, Billee Sharp, author of the eco-friendly housekeeping book "Lemons and Lavender," suggests pouring a gallon of water into the toilet bowl, which will cause the toilet to flush out the water. Then brush a paste of a half cup baking soda or borax and 10 drops lavender, grapefruit or lemon oil all over the bowl and rim. Spray heavily with white vinegar. Leave on for 10 minutes. Scrub surfaces, rinse and wipe dry.